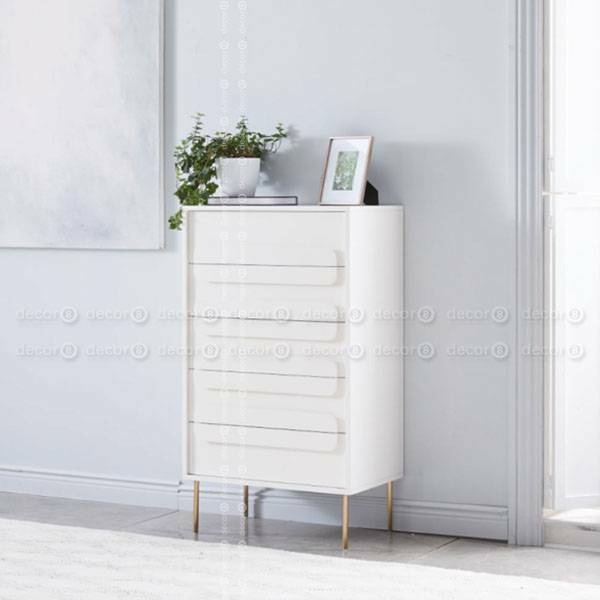 The Decor8 Vela Tallboy White Storage Cabinet is a contemporary style tall white cabinet with 5 drawers that is both stylish and functional. 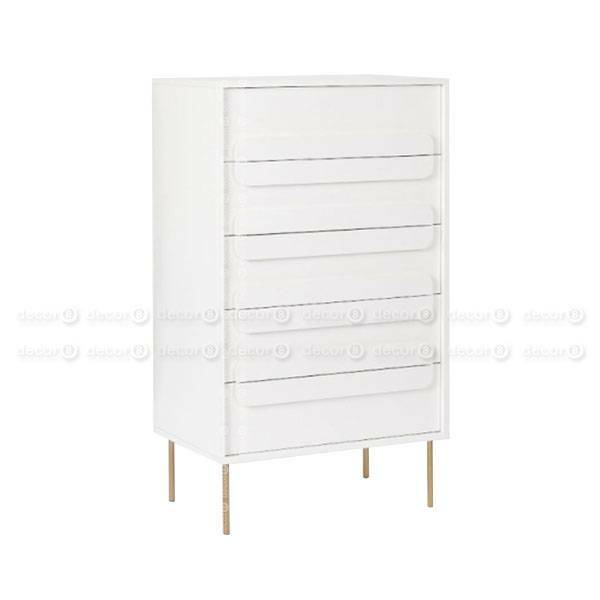 This compact white cabinet is practical and offers plenty of storage space. Perfect for living room storage or bedroom storage. 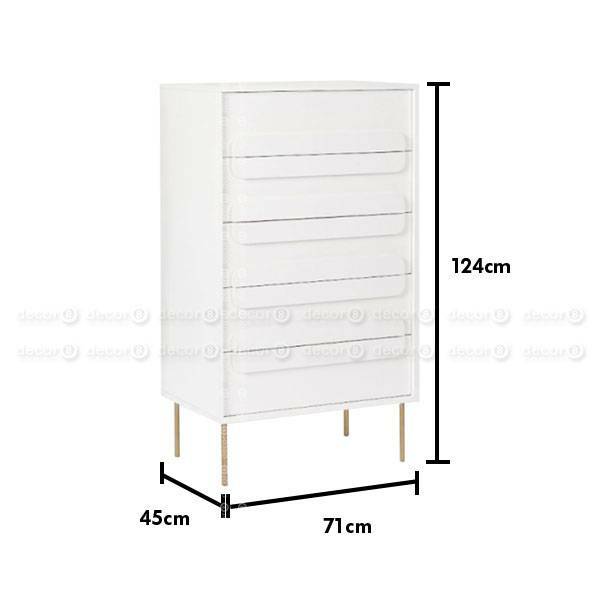 The drawers are white with brass finish metal legs. 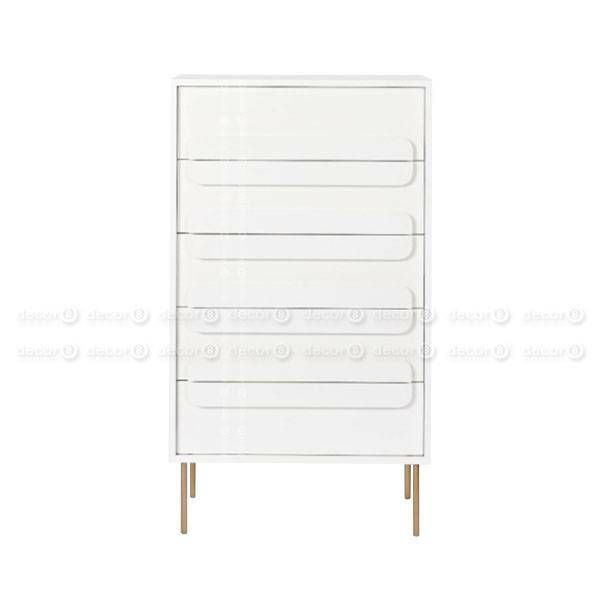 The Vela Tallboy White Storage Cabinet looks very contemporary and stylish - perfect for Hong Kong modern interior designs.